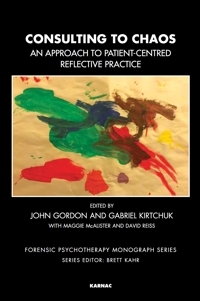 David Reiss, MA, MBBChir, MPhil, PgD, FRCPsych, FAcadMEd, is a Consultant Forensic Psychiatrist, West London Mental Health NHS Trust and Honorary Clinical Senior Lecturer, Imperial College London. His research interests are in the interface between clinical forensic psychiatry and public policy, including work on personality disorder, recidivism, homicide inquiries and educational issues. His clinical and educational work focuses on enabling the multidisciplinary team to gain an enhanced understanding of patients, thereby improving care and reducing risk.